I’m basically just doing these in the order I’m taking them out of the boxes they’re in, so here’s another from the “Big Sound” series. I suppose we’ll eventually hear from Captain Happy again This disc has some of the same artists as previous entries in this series, which makes sense. I guess if you’ve already got Johnny Cash in the studio introducing his songs, you might as well get him to talk about civil defense. Here, we have got a bunch of celebrities telling people that “civil defense is common sense” and to look to a couple of radio frequencies for updates from CONELRAD. Yes, that’s right, what more comforting word could there be than CONELRAD? This is one of those times in my life where I finally encounter the source material that spawned endless variations, parodies, and subversions. That’s not to say that this disc is what everyone heard, and that it was precisely what, say, Hawkwind were referencing in “Sonic Attack”. Rather, let this disc stand for every bit of polished 1960s media kindly telling people to be scared of what the Russians were going to do to us, but the government is here to protect you. CONELRAD will tell you which foods are safe to eat. P.S. Was Huckleberry Hound meant to sound like Pat Boone? P.P.S. Doesn’t the music make you think of Dragnet? 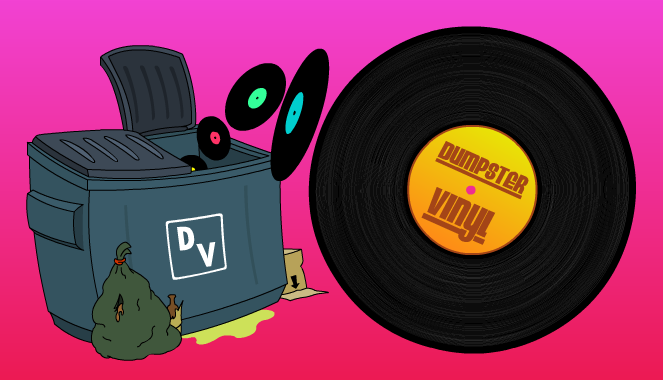 This entry was posted on 2015/08/30 at 6:55 AM and is filed under Dumpster Vinyl. You can follow any responses to this entry through the RSS 2.0 feed. You can leave a response, or trackback from your own site.